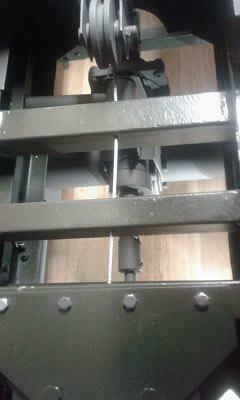 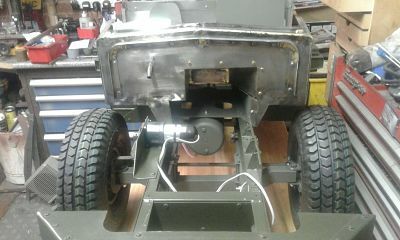 Twin axle reduction drive via drive shaft from a 250W 24V motor sited on the chasis in the gearbox position. 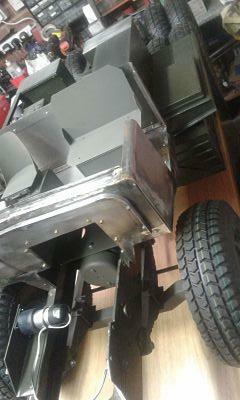 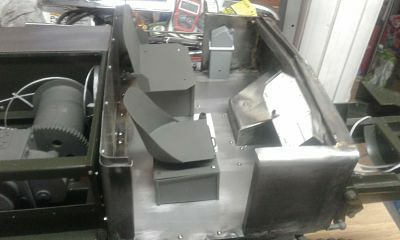 Batteries are hidden in each fuel tank and speed controls and R.C. 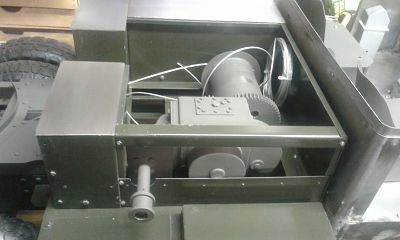 housed in the stowage boxes around the winch area. 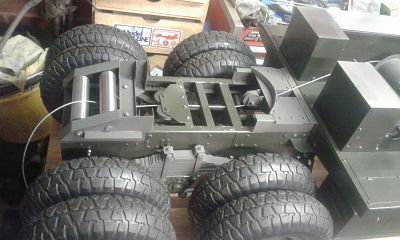 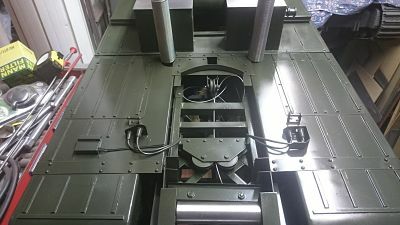 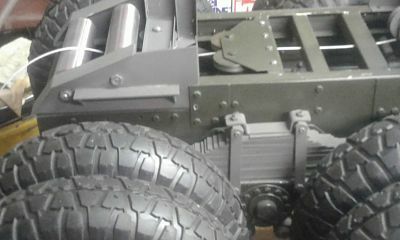 The winch is fully working with guides and rollers feeding the cable out and through the chasis. 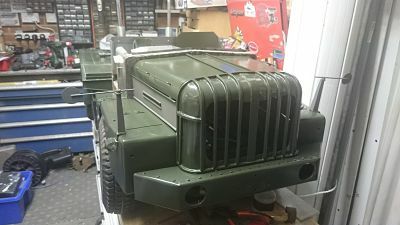 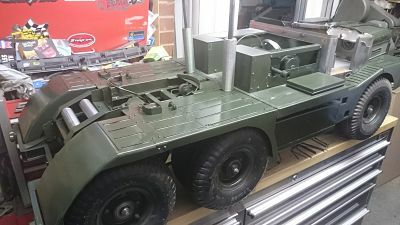 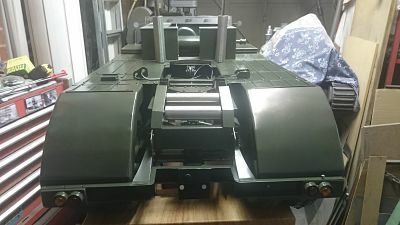 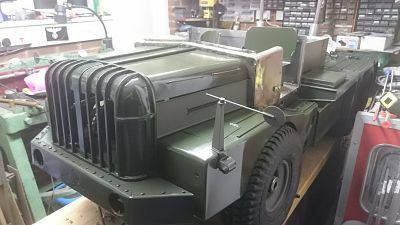 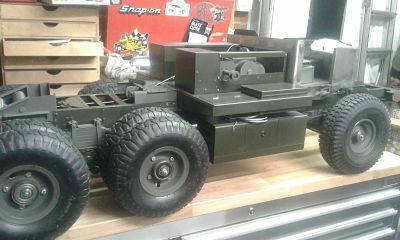 The Antar will pull the Sankey 60 ton trailer just right for my customers Armortek Centurion, but lets finish the Antar first.